Effective prospecting ideas and techniques can be a lifesaver. Especially since prospecting is the number one challenge financial advisors face – they can’t seem to get in front of prospective clients. I would argue that prospecting is also the most important part of selling. Nothing happens until somebody starts prospecting new customers. The most successful financial advisors are usually the ones who did the most prospecting… all throughout their careers. In this post, I want to discuss some financial advisor prospecting ideas that you can put into practice immediately. I’ve linked to quite a few articles throughout this post; to get the most out of it, make sure you read the linked resources. Bookmark them if you have to. They are there to give you a more detailed understanding of the various prospecting methods. My definition of prospecting is the persistent and systematic method of developing and qualifying sales leads, turning them into “prospects”. One of the reasons prospecting is so important is because attrition is always working against you. Clients leave you, get divorced, die, etc. That means your client base will slip through your fingers unless you prospect. Prospecting should be your never-ending responsibility, unless you want your revenue growth to slow down. When it comes to prospecting, fear can kill your success before you even begin. The mere mention of prospecting can send a jolt of anxiety down a new financial advisor’s spine and make the veterans shudder. For example, telling someone to "just ask" for referral doesn't work. Advisors are afraid to ask for referrals, which is why I put together 51 Referral Marketing Tips for Financial Advisors. Financial advisors who avoid prospecting usually do so for two reasons: fear of rejection (we’ll talk about that later) and/or lack of preparation. You must be knowledgeable about your activities and the people that you’re trying to reach. Take some time to think about questions that leads will ask about you and your company. When you are thoroughly prepared for what will happen, you’ll be more confident in your approach. A special prospecting technique I want to share with you involves watching your self-talk. Whenever you catch yourself, for example, thinking “I hate prospecting”, try a new phrase such as “I gladly choose to prospect today.” One popular call reluctance book advocates wearing a rubber band around your wrist and snapping it every time you have a negative thought. Sounds cheesy, but it works. 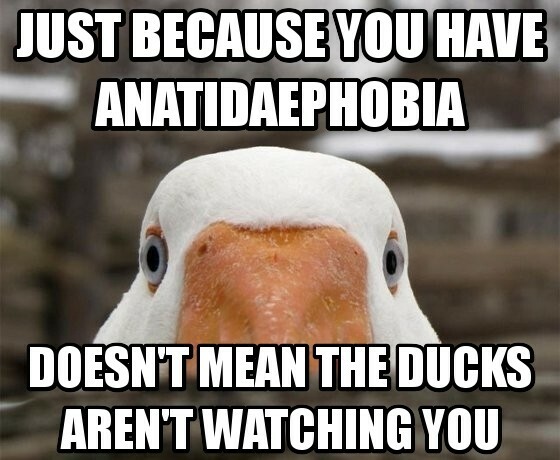 Be afraid of the ducks, not prospecting. How many dials, on average, do you make per day? If you make 100 dials, how many people will you speak with? If you speak with 100 people, how many will agree to an appointment? If you can’t answer those three questions, you are doing something wrong. Your entire life changes when you are able to predict your income, and you do that by knowing your numbers. If it takes you 100 phone calls to set 5 appointments and you convert one to a client, then you can predict your income, provided you know your average client’s contribution to the bottom line. Let’s say I get one client for every 100 phone calls and each client contributes $2,000 to my bottom line. If I want to gross $500,000 this year, all I need to focus on is making 25,000 phone calls, or 69 per day. It’s almost 90 per day if you work five days a week. The numbers will vary based on your situation, but you get the idea. Knowing your prospecting numbers is incredibly empowering, and it can also help you stay persistent. A CRM is one of the best ways to streamline your prospecting process. If you’re anything like me, your brain can’t possibly hold all the information you need when you’re prospecting. Using Customer Relationship Management software will let you know who you’ve already contacted, who you need to follow up with, what contact methods you’ve used, etc. If you haven’t read it yet, check out my article on the best financial advisor CRM. Financial advisors will face rejection when prospecting. It’s a natural part of the sales process and it happens to everyone. The good news is that rejection is almost never about you. It’s about your offer. Some people will be interested, while others won’t. Remember, prospecting is simply about uncovering the prospects. If someone isn’t interested, he/she isn’t a prospect. It’s that simple. Plus, remember that a “no” is a hundred times better than a “maybe”. People who struggle with handling rejection seem to think that “maybe” is a good thing because it’s not an outright rejection. The worst thing for a prospecting financial advisor is to get stuck in that weird “maybe” limbo. “No” allows you to move on to the next person who can say “yes”. Think about those gold prospectors who hiked out to California in 1849 – they got to the gold by sifting through all the dirt! That’s what you’re doing. You’re only going to find the gold by getting rid of all the dirt that accompanies it. I’m going to link to a lot of resources in this article because I’ve written in-depth about a lot of these prospecting ideas. Here is a post I wrote about how to handle rejection in sales. Don’t wing it. It’s important that you test and measure a variety of scripts to find the most effective one for you. Don’t ever copy someone else’s script verbatim. I know that, logically, it makes sense that if it works for one person it will work for you as well, but that’s not reality. I’ve seen two people use the exact same script and get drastically different results. If you don’t sound comfortable or fluent, you won’t get good results, so make a script that comes naturally for you. One of the secrets to consistently generating revenue is to use a script for as much of the process as you can. If it can be scripted, it should be scripted. Perhaps the best reason for having a script is that it gives you something to say. The beginning of a conversation with a lead is usually the toughest. It’s difficult because you must take control of the conversation in a way that allows you to influence its direction. You must have a purpose for each contact. A script will keep you focused and consistent. Constantly adapt your scripts and test them against each other to improve your conversion ratios. Before picking up one of these, have a good script in place. Who do you like to work with? Identify your favorite clients – the ones who leave you feeling happy and energized. Try to figure out if there are any patterns. Check for similar personality traits, demographics, and values that can give you clues about your ideal prospects. Since prospecting is a tough activity, you should at least be prospecting for people you genuinely want to work with. Prospecting everyone is lazy and uninformed. Knowing who you WANT to work with and proactively targeting them is infinitely more effective. I wrote a lengthy article on this particular financial advisor prospecting idea. You can read the post here: 11 Awesome Client Appreciation Event Ideas for Financial Advisors. The biggest mistake that I see financial advisors making with these events is that they only invite their current clients. Instead, you should invite both your current clients AND your dream prospects. When you invite your best prospects – the ones you really want to convert – you show them what it’s like to be your client. If they already have a financial advisor, you will be positioned as an extraordinarily strong backup. Another fantastic financial advisor prospecting idea is to develop a strong alliance with referral partners. This means developing relationships with estate attorneys, CPAs, and insurance agents (if you don’t do insurance). You can kill two birds with one stone by inviting your alliance members to speak (briefly, of course) at your client appreciation events. Financial advisors who commit to building strategic alliances generate higher revenues than ones who don’t. It only takes a small number of strategic partners to really accelerate your business. But here’s an important newsflash: you can’t just approach three attorneys and three accountants and expect to build your “dream team”. Nor will your team build overnight. If you are interested in the methods behind building a successful strategic alliance, feel free to reach out to me. Direct mail is so underrated. The people who hate on direct mail are the people who aren’t doing it the right way. It would take me about 170 hours (that’s over four forty-hour workweeks) to make 10,000 phone calls. I can get my message in 10,000 mailboxes in a single afternoon. Now you tell me which one you’d rather do. Direct mail doesn’t work for small-ticket items because the math doesn’t work. I can’t spend $85 to send out 100 mailers and sell one or two $10 products. Financial services are different because the potential profit is so high. If your direct mail converted at 1% and you made a thousand bucks per client, wouldn’t you crank out as much mail as you could? Think about all the credit card offers you receive in the mail – do you think the big companies would be sending you so much stuff if it didn’t work? If direct mail seems like a good fit for you, check out these five ways financial advisors can improve their direct mail marketing results. If you aren’t working with a big budget, you might want to commit more time than dollars. That’s where community involvement comes in. Volunteering and getting involved in local groups and associations is a great financial advisor prospecting technique because it helps you meet more people. When you join an organization, you can meet like-minded people who may end up becoming clients themselves or referring other people to you. Be smart about this – don’t join an organization just to hawk your wares. Join something that you’re actually passionate about; if you don’t give two hoots about houses, don’t get involved with Habitat for Humanity. Edward Jones does a pretty good job with community involvement. They do a lot of stuff with United Way, the American Heart Association, and so on. Their financial advisors are often pushed to join Chambers of Commerce and get involved with toy and food drives. They know that getting involved in the community is good for business, so they do it! You should too. I can’t cover all the details of cold calling in this post, so I’m not going to try. There are hundreds of articles, books, and programs to help you become a better cold caller. However, if you’re like most of the population, you won’t cold call anyway. LinkedIn is a goldmine. It’s no longer just a virtual resume or the place you go to find your next job. Read this: 4 LinkedIn Tips for Financial Advisors. At a minimum, you should be joining groups, messaging people, and getting involved. After all, it is a NETWORKING site! If your time on LinkedIn is limited, try to find prospects with whom you share a common background. For example, if you both served in the same branch of the military, this can be an excellent conversation starter. The same goes for finding alumni, other association members, etc. I intentionally put this financial advisor prospecting idea after “cold calling” because LinkedIn is often touted as a way to eliminate cold calling forever. While I don’t agree right now, I’m not naïve enough to think that cold calling is as effective as it once was. With LinkedIn, you can almost always learn enough about someone to make a good cold call. Always be open with the people you call about having looked at their LinkedIn profiles. After all, they’re the ones who put their info online! If you use LinkedIn as a prospecting strategy in conjunction with cold calls, it’s a good way to break the ice and it shows that you put more effort than 95% of the other people calling your prospect. Don’t put too much emphasis on this, because it won’t change your life, but it can give you a slight edge. If you’re at a networking event or cocktail party and someone asks you what you do, you want to give an answer that helps you stand out. An elevator speech is just a nice way to organize your thoughts. If you don’t have one in the back of your mind, you might find yourself rambling on, adding ideas here and there, or referring back to previous points… kind of how I write. Plus, it helps to keep you from getting caught off guard. Your website is a beautiful thing. It can work for you 24/7. You can be on a golf course in Florida and your website should still be sending warm leads directly to your inbox. Your website is one of the best ways to find prospective clients for financial advisors because people who get to the website are usually “warm” leads. Imagine having some extra warm leads come your way each and every day. Your website can do that for you. If you learn nothing else from me, please learn the importance of having a niche. Absolutely nothing will transform your business and grow your income quite like having a niche. The sad part is that because I give information away for free, people don’t value it much. I am literally telling you the most prospecting idea you can have – target a niche. If you want to pay me thousands of dollars to speak at your event, I’ll probably tell you the same stuff – target a niche. Your time is limited, and the reality is that you’re going to have to find a way to get in touch with a LOT of people to build your business. I promise you that you’ll never have a huge book of business AND a 100% closing rate at the same time. You’ll have to do a lot of prospecting to build a pipeline that consistently throws off cash, but having a targeted niche will dramatically improve your efficiency and every single one of your sales ratios. You will spend less time dealing with clients and you’ll get more results from the prospecting activities you do. If you’re not convinced, here are seven reasons why financial advisors need a niche. If you're hungry for more tips, techniques and ideas, check out 27 Financial Advisor Marketing Ideas That Work!